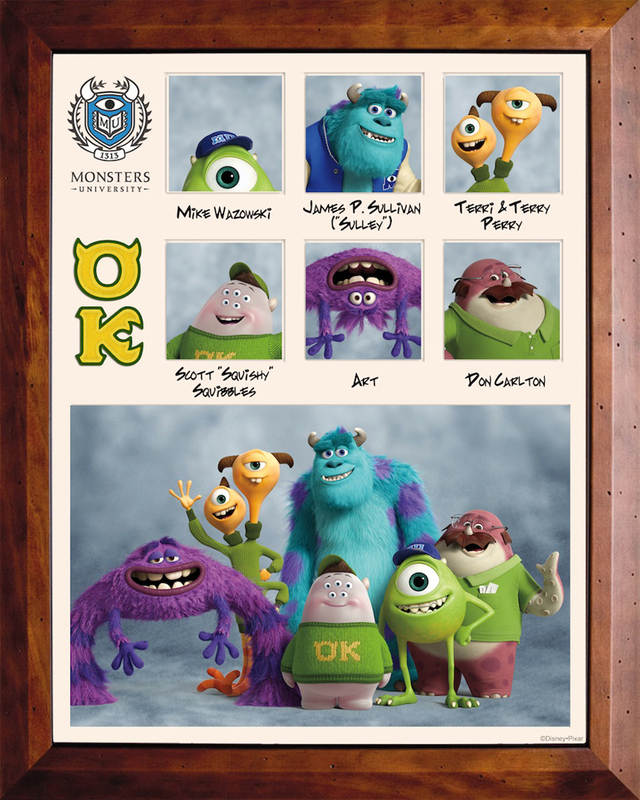 Fruitless Pursuits: Review: Monsters University! Cynical cash grab or something special? My opinion may surprise you... after the jump! I feel like I'm at a juncture with these types of films. I've always been a huge fan of animation so have always been prepared to persevere long after others have grown up and moved on, and especially when it comes to Pixar who have consistently produced work that appeals on a number of levels. But lately my enthusiasm has started to wane. I appreciated Brave, and it's certainly breathtaking to look at, but I found myself squirming in the cinema a bit and wondering why I, a grown man, had been so eager to see what was essentially a Disney princess movie. I had a similar experience with Disney's Wreck-it-Ralph at the end of last year. By the time we got to the cliched, "you can do anything as long as you believe" message I felt convincingly assured that these films were no longer for me. But I have a soft spot for Monsters Inc., one of my all-time favourite Pixar films, and while I knew Monsters University was never going to hit that same place, I had enough goodwill to want to re-immerse myself in that world. Let's get the obvious out of the way first. Like most prequels, Monsters University has very few stakes. We know that it's all going to turn out OK in the end, and we also know that the monster world/human world premise isn't really able to be explored yet. So it's a softer, lighter, more humorous story, relying heavily on characterisation and embracing (and occasionally twisting) the tropes of the American college movies that I also grew up watching. (It's one shower scene away from Revenge of the Nerds at times). On the surface this is really just a story about how Mike and Sully met and how they (kind of) came to be in the position that we see them in the first film. There's a little more than that too but we will get to that. I will say that I was entertained from the start, and it may well be the nostalgia talking, but it's a beautiful looking, colour saturated film filled with all manner of twisted muppet-like monsters, and I really do enjoy just being absorbed in that world. It's a soft start, easing the viewer in, however, as likeable as Billy Crystal is (and he reprises the role seamlessly despite a gap of over ten years), the story doesn't really pick up until Mike's misfit fraternity buddies of Oozma Kappa are introduced. They are all consistently hilarious and the animators and writers appear to have far more fun with them than the characters we already know and love. Now we're going to get into SPOILER territory, but it's pretty mild and certainly not stuff that should effect your enjoyment of the film. Besides, I figure you've either seen it already, you're not going to see it at all, or you're remotely curious about whether it's worth a lazy afternoon (it is). But the message is the best bit and needs to be discussed to justify this film's existence. You see, Mike - from a very young age - has always wanted to be a Scarer. They are those elite monsters that venture into the human world and scare children to harvest scream energy. They are like superstar athletes and he has studied them, worshipped them, and desperately wants to be one. Sully, on the otherhand, has a famous Scarer for a father. He has natural ability, everyone is in awe of him, but he's kind of a slacker. So while Mike toils away, Sully slacks off and by the end of the film they both need to prove themselves in different ways. 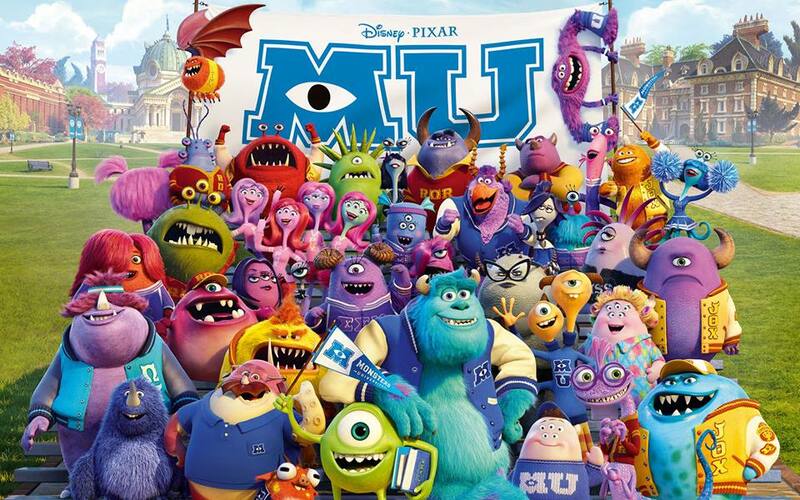 Now animated films are FILLED with misfit characters with big aspirations. From the trailers alone we saw a snail that wanted to be a race car. A car that wanted to be a plane. We're always seeing little people who dream big and through their work and belief manage to accomplish the impossible. Mike's problem is that he isn't scary. No one has faith in him, especially the Dean. So he needs to prove them wrong. And what I love about the film is that he doesn't do it. Because the truth is that he isn't scary, no matter how hard he tries, or how much he wants it. It just isn't in him. He doesn't have the ability. And that's what REAL LIFE is like, right? Contrary to what children's movies tell us, if we don't have it we just won't get it. I can want to be a rockstar as much as I want, but no matter how hard I try I just won't ever have that ability. It's just not my thing. It doesn't mean that I could work in the music industry, tangentially or otherwise, but at times, in life, you have to adjust, reassess, and change your dreams. Mike has to adjust. He has to use his actual skills and doesn't get to achieve his original dream. And for me that's a far healthier message for the kids. 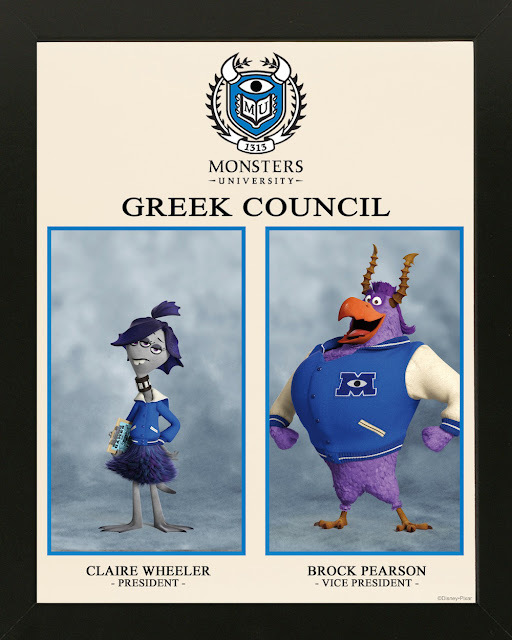 Sully, on the other hand, uses his natural ability to coast through, and does become an elite Scarer. Is that unfair? Life is unfair. Some people just have it. In fact both these characters are left in a rather surprising position by the end of it. 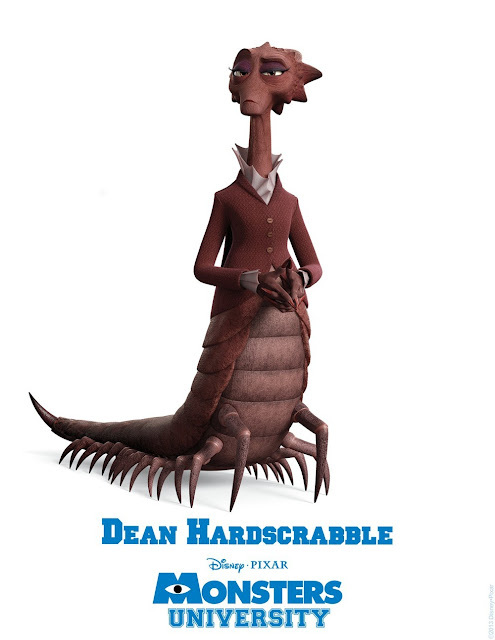 None of this pans out quite how you think it will, and that's a brave choice by Pixar. And one I respect. So I recommend this film if you're willing to take it for what it is. It's not a timeless classic that will be referenced in 20 years. And it's small in scope. (Particularly noticeable for me was that they abandon their usual structure of putting in a huge action scene in the third act - think airport in Toy Story 2, door chase in Monsters Inc, or the junk yard in Toys Story 3. Instead they go quite small and introspective with the third act - an unusual choice but quite effective in this case). But if you're an animation fan, and especially if you're a fan of the original, then absorb it one afternoon when you have the time. There's some nice stuff in there to think about. And one other thing - I should mention the short that proceeds the film, The Blue Umbrella. This is stunning as always, and surprisingly poignant as two umbrellas find love in a personified city. However, it would be far more effective if it wasn't virtually the exact same story as last year's brilliant Paperman. A chance encounter. Romance? Oh no, we're having to go our separate ways! But fate (and the wind) transpire to bring two chance lovers back together? Come on, Pixar. Keep it fresh!